My teenage son wrestles and my tween daughter loves to climb trees. They both love to play outside, shoot hoops together, and play catch. I'm sure you can imagine how dirty and smelly their clothes can get - especially during the summer. I loved the fresh, clean scent of all Radiant, it was the perfect balance and not over-powering. I want our clothes to smell good, but I don't want them to smell like we sprayed them with perfume or something. all Radiant also made our whites whiter and our colors brighter! I know it sounds crazy, but their clothes got cleaner with every wash. Our clothes don't fade and stains are a thing of the past! 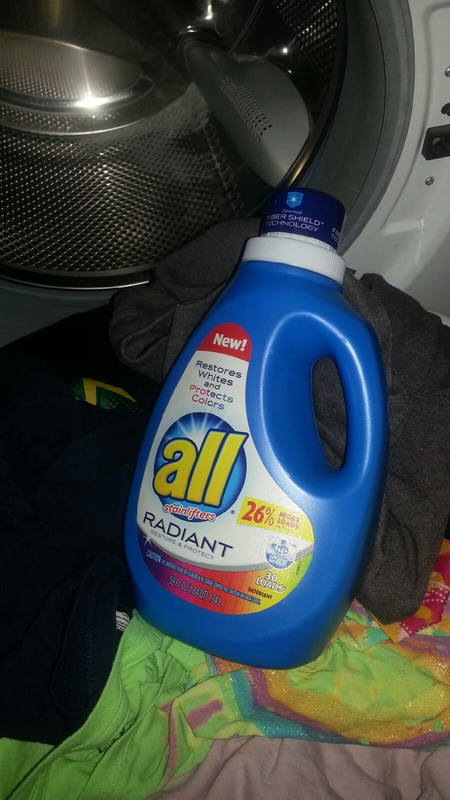 If you'd like to try all Radiant, you can get a great money saving coupon here! When choosing a laundry detergent for your family, what is most important to you? 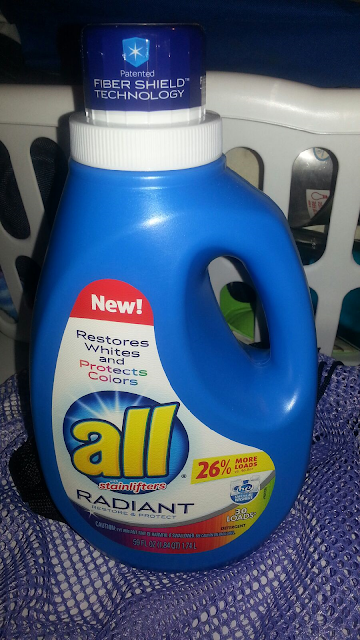 It has been a while since I have used All detergent. I like that this is infused with Patented Fiber Shield Technology, I will have to try this out.